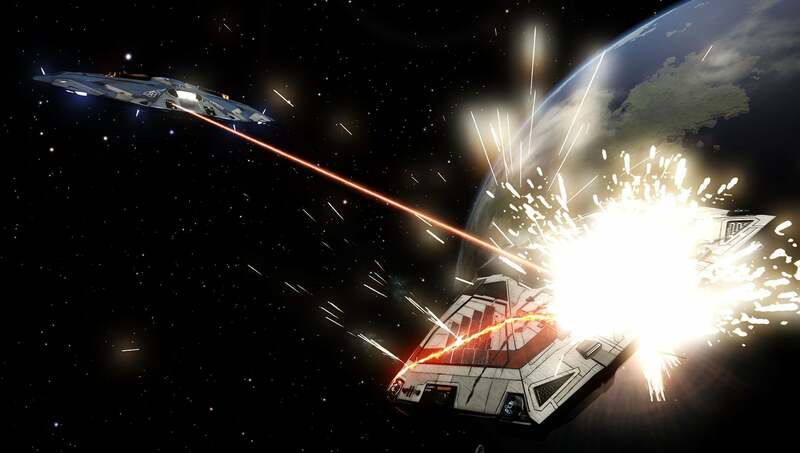 "This game deserves a better class of criminal," a member of Elite: Dangerous' player-run Smiling Dog Crew wrote in a plea for a nerf of the game's heat weapons. "We hope to fix that with this operation," they added, calling their plan "terrorism." The plan's name? Operation SpicyBois. Heat weapons were introduced as part of Elite's Engineers expansion in May of this year. Players quickly declared them overpowered, but developer Frontier wanted heat to actually matter in the game's combat. So they stuck around, and tensions brewed. PvP players, especially, felt like they'd gotten the short end of the stick. Earlier this month, Eurogamer reports, Elite's most notorious griefer gang, the Smiling Dog Crew, decided to try and force Frontier's hand. Dubbing their plan Operation SpicyBois, they explained that they were going to fly around in open space with heat-centric loadouts and roast other players to piss them off. They would then encourage said players to make a fuss about it — to post on Frontier's forums with anecdotes, screenshots, and videos of their unfair encounters of the spicy kind. "This game deserves a better class of criminal. 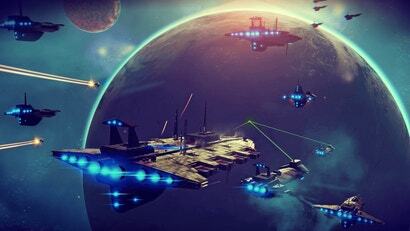 Gone are the days of piracy," SDC member Jonticles wrote on the Elite: Dangerous subreddit. "The playerbase has complained about meaningless killing time and time again, and we hope to fix that with this operation. This is proper terrorism with an objective as a means to an end (a useful end at that). We are the instruments of your liberation from the heat meta." A couple weeks have passed since the operation began, and Frontier is finally nerfing heat weapons. "We're going to lower weaponised heat diminishing returns so that they kick in at 65% and lock at 95%," wrote lead designer Sandro Sammarco. "What this means is that basically, heat weapons will not be able to cause module damage by themselves." Did SDC's operation cause Frontier to cool their stance on heat weapons? Probably not, but I imagine it contributed. Frontier noted that they were already looking into heat weapons in response to SDC's operation thread, but they hadn't come to a firm conclusion at the time. SDC is not exactly popular with Elite players, but some players have taken to thanking them nonetheless. Even in the thank you thread, though, a lot of people aren't convinced. "Yeah, and I'm the guy who makes the sun rise every day," is currently the top response, implying that this would have happened whether SDC did anything or not. Do you play Elite: Dangerous? Are you happy that heat weapons aren't quite as hot anymore? Most importantly, do you think Frontier does a decent job of reacting to feedback? I haven't played ED for a few months now, it's too time consuming to just casually play. However Frontier still has a lot to fix in my opinion. Good to see they are responding by blatantly throwing it in their face those weapons were overpowered. I think new ship cost and upkeep should come down in prices too. There are many ways of earning enough money sure, but you spend a ridiculous amount of time doing so. I already have a irl job thanks. Also isn't it time to scrap that SOL permit? At least for solo play? Haven't played this game in a long time despite how much i loved it initially. The game itself is amazing but i just cant agree with a lot of the design choices the developers are making. I'd agree that some of the game hasn't worked - power play isn't that interesting to me. But "scraps of content"? FDev are one of the most engaged developers I've dealt with, and they take on a lot of community input. No-one's going to agree with every choice they make, but when they do try something that doesn't work, on the whole they've tweaked it in the next update. Also, this article only really sums up how overinflated SDC's sense of their own influence is. SDC's role in this is overblown. The heat stuff's been flagged since 2.1 was in beta, and FDev had a plan to fix it for 2.2. As an Elite player, why does everyone seem to care about stuff so much when i just take it as information?